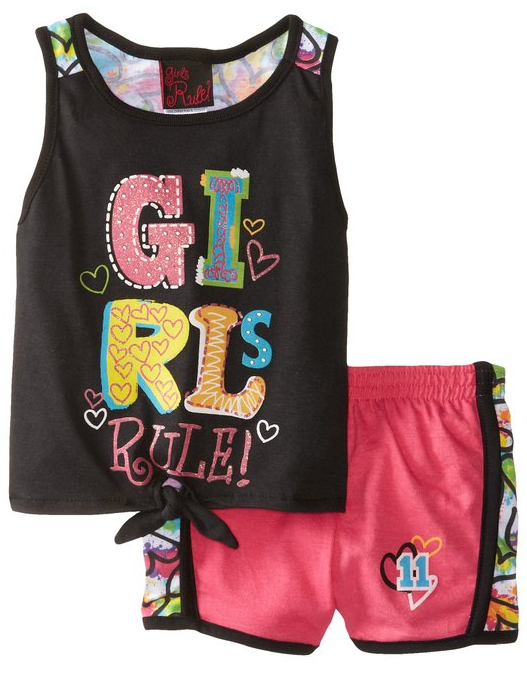 Girls Rule Girls 2-6X Short Set Only $4.64! You are here: Home / Great Deals / Amazon Deals / Girls Rule Girls 2-6X Short Set Only $4.64! Now’s the time to get summer clothes on sale! Get this Girls Rule Girls 2-6X Short Set for Only $4.64! Prime or with any order over $35!